What are your bacteria actually doing in there? 1. Bacterial functions. How well do your bacteria process caffeine compared to other people? What do your carbohydrate and fat metabolism capacities look like? 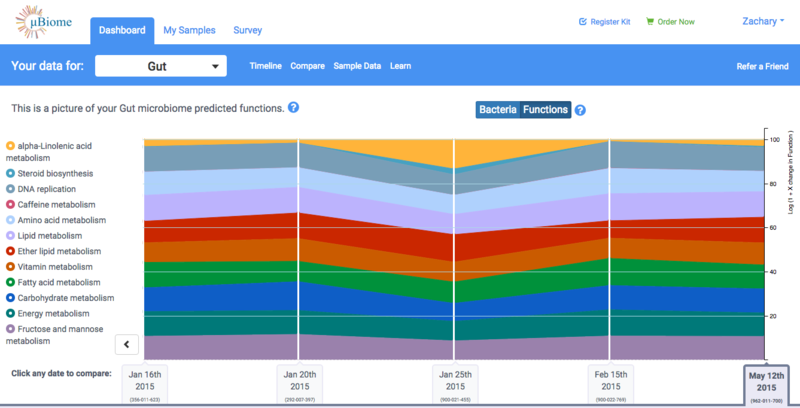 We’ve added 106 bacterial functions for you to explore in your gut microbiome data, and we’re giving everyone this new feature for free. 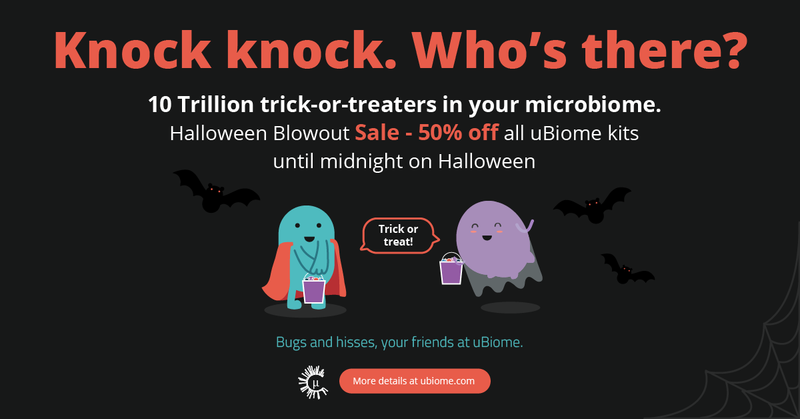 Login at http://app.ubiome.com and let us know what you think! 2. Diversity score. Is your gut microbiome more or less diverse than all other samples in the uBiome dataset? The chart below shows my actual data. In the gut, bacterial diversity is generally positive, so I guess I’m in good shape, diversity-wise. Hope you enjoy the new features. We’d love to hear your feedback.